Don’t be fooled… your students are busy reading text in science lessons that they only partially understand. This isn’t because they can’t read. This is because they don’t understand enough of the vocabulary that sits within the text to create meaning – we need to understand about 95% of the words we read to make sense of a passage. Estimates suggest that students need to know about 50,000 words in secondary school; the problem is that teachers, as experts, are often blinded by their own expertise and so fail to explicitly teach this important vocabulary. Some of this vocabulary is specific to science (tier 3 words) but some of this more academic vocabulary is found across different subject domains (tier 2 words). Below are some simple strategies I find useful to support students to read for meaning in science lessons. Start with the sounding of words and then move on to getting students to understand meaning by focusing in on vocabulary – Alex Quigley calls this word consciousness. Oh, and beware of starting with definitions! There are three different types of words students come across when reading. Tier 2 words found in an academic book or exam paper e.g. amble, alternating, structure, function, evaluate. Click here for a list of common tier 2 words. As science teachers we should commit to teaching both tier 2 and tier 3 words. Start with a small piece of text e.g. a paragraph and make sure students are clear on why they are reading it before they start. For example: ‘We are reading this text to find out why diamond has a high melting point’. Make sure you have identified the tier 2 and tier 3 words before the lesson and considered the reading age of the text – be mindful that reading age and reading ease are not necessarily the same thing! How have you helped students to understand the required vocabulary in previous lessons? Dictionaries are not the answer! Students then read the same text in pairs. They can correct each other. Students answer four simple comprehension questions e.g who, what, where, when and why? Assess understanding gained from the comprehension task and intervene where necessary – which words are barriers to meaning? Directed activities related to texts (DARTs) encourages students to interact with a text. Good DARTs ask pupils to use and understand information as opposed to simply moving it from one place to another. This DART gets students to use a labelled diagram of a lung to complete some text. Students then use the text to annotate the lung diagram. Students demonstrate understanding through use and modification of the text. Spend time helping students to understand the origin of words and their morphology (roots, prefixes and suffixes). What does ology, bio- and ex- mean? Teach students that endo, a Greek prefix meaning within, inner, absorbing, or containing and suddenly endothermic, endosymbiosis and endocytosis make a little more sense. Tell a student that the word atom comes from the Greek atomos, meaning indivisible, and I guarantee that atom will i) be be remembered and ii) be used correctly. You can explore etymology of specific words here. 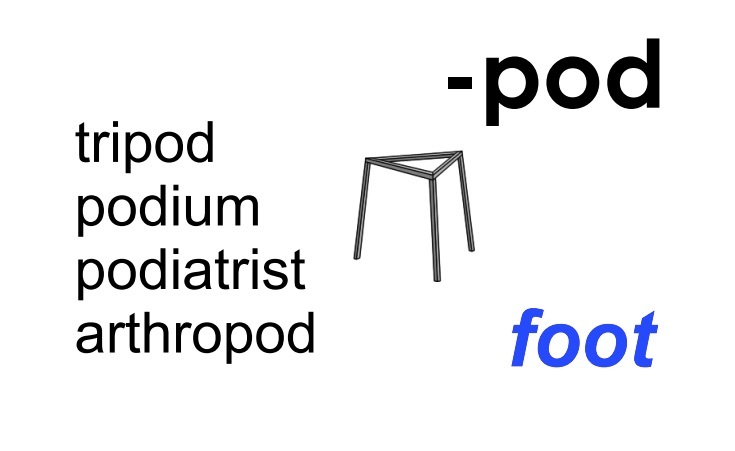 This fantastic resource, made and kindly shared by Ellie Russell, looks at how morphology can help students see how scientific words are made so that their meaning can be unlocked. Ask students to use these words in sentences and then ask them to find other words that use the same prefix or suffix. 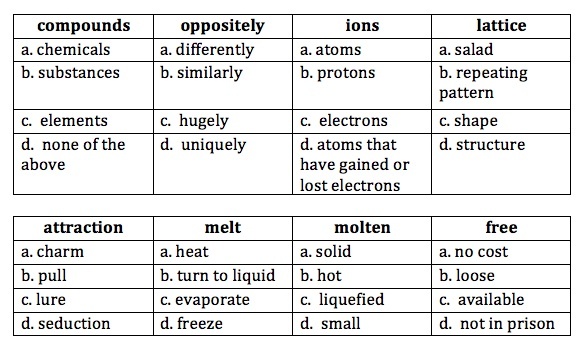 Click here for further ideas on how to teach vocabulary in science. Thanks to Amy McJennett for advice with this page. Quigley, D. (2018) Closing the vocabulary gap. Routledge. Beck, I.L., McKeown, M.G. and Kucan, L., (2013). Bringing words to life: Robust vocabulary instruction. Guilford Press. Kearton, V., 2011. Developing literacy skills within science lessons: what does research say? Education in science, (241), pp.26-27.